Ahoy! 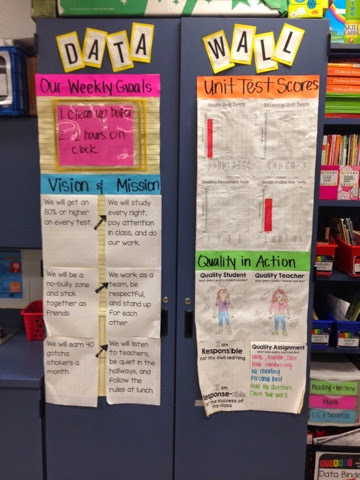 I am finally back on the scene to share some anchor charts I have made so far this year. It’s actually kind of embarrassing how long I have been neglecting blogging. This start to the school year has been one of the most stressful for me and my team. However, the dust is finally beginning to settle, we have got team planning underway (more to come on that later), and I am back! 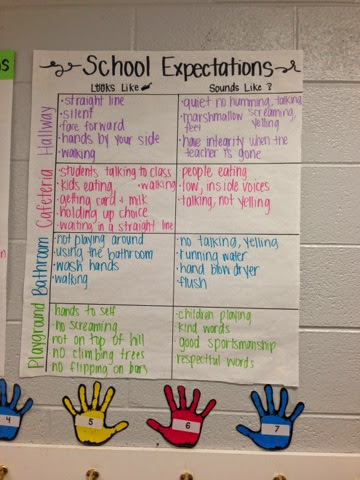 Pinterest has definitely spoiled anchor charts for me. 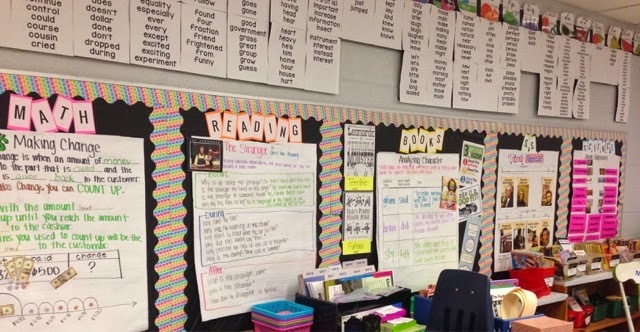 I am not yet one of those cutesy teacher that spends hours designing and decorating beautiful anchor charts, but I do feel completely unsatisfied with plain anchors. Blah! 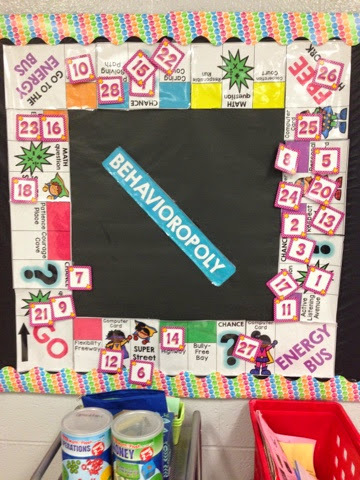 Below are some of the charts that my class and I have made so far this year, minus much of the artistry you can find on Pinterest. 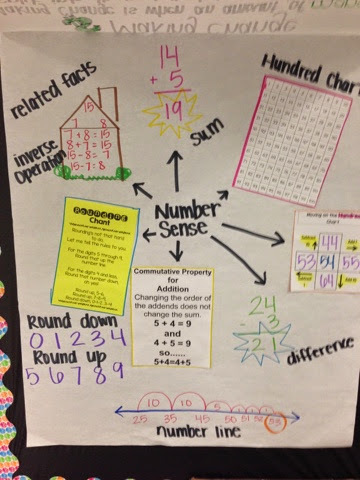 I am a huge believer that anchor charts are useless unless they are created during instruction, with the learners, which is one reason why I don’t spend too much time making charts pretty beforehand. 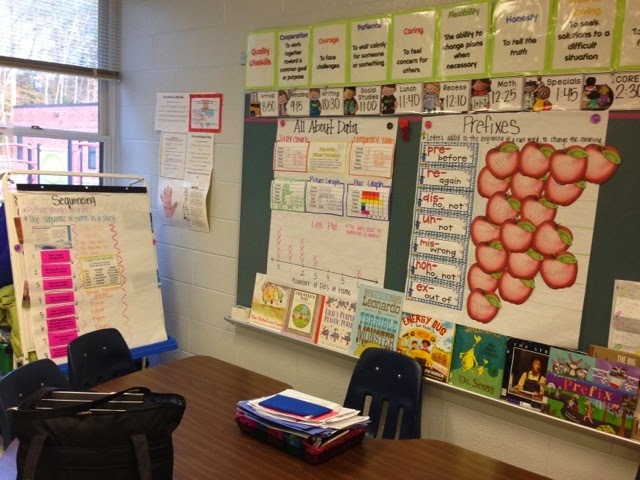 During student teaching, my mentor teacher told me that charts created and/or placed on the wall without being used during instruction are just wallpaper. 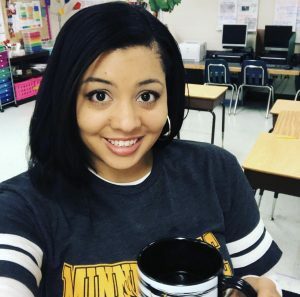 The students won’t pay attention to them or devote enough time to them to make meaning. Ok, now on to the charts! 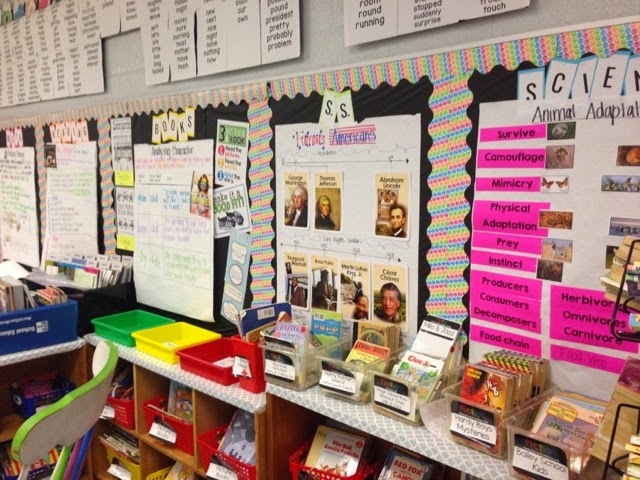 I keep my current anchor charts on the front board and on my easel. As I need room, I retire my charts to the back bulletin board which is separated by subject. 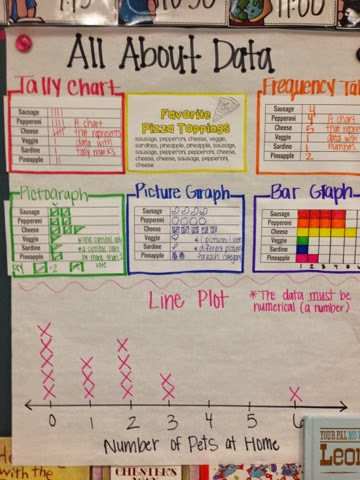 I staple new charts on top of the old so students can flip through to get to old charts when they need to. 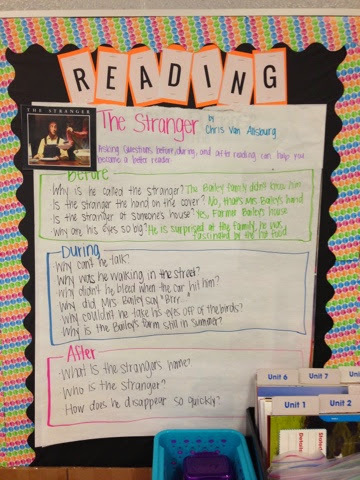 I use “The Stranger” by Chris VanAlsburg every year for teaching students how to question and they love this book! This anchor is actually unfinished, we go through and add answers to our questions as we read. 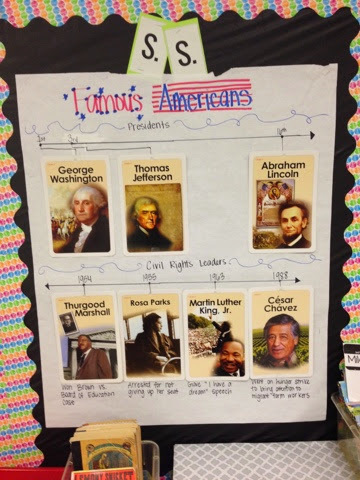 I layer my anchor charts on top of each other on my back wall so students can refer to them, this one was under the most recent chart. 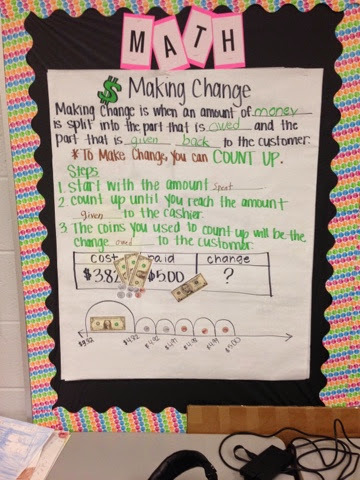 This anchor chart was completed over 3 days. 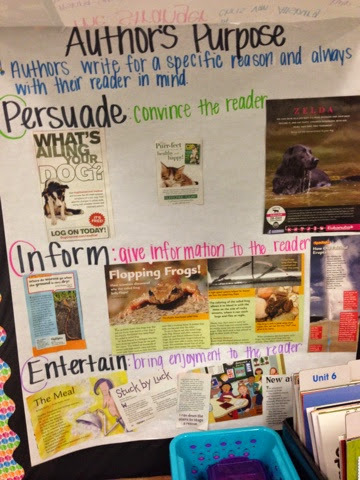 The first day we talked about how authors think (the sentence in blue) and I introduced the 3 reasons author’s write. Many of them remembered this from second grade, so I just wrote down the categories as we discussed. 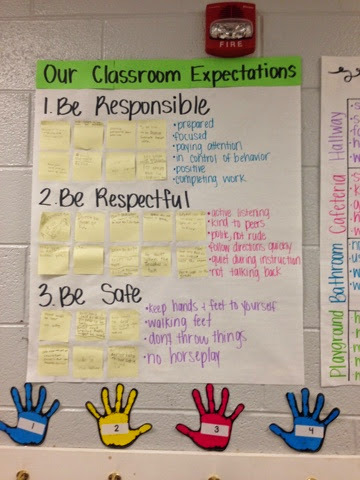 On day two, we defined each category, I wrote them on the chart, and we did a group activity. 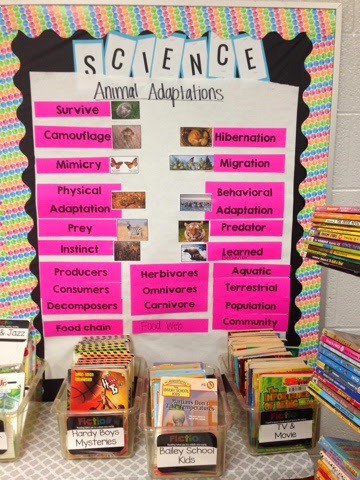 One day three, we sorted the examples I had pulled from magazines and the students glued them on the chart. 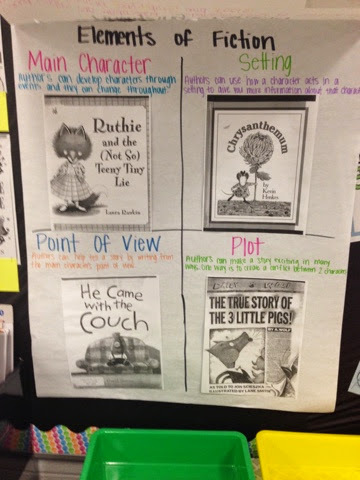 We learned about each of these one at a time and read a book to zoom in on the characteristic. I photocopied and posted the covers of the books for students to anchor their learning to and refer back to. For this anchor, we read “A Bad Case of the Stripes” by David Shannon. 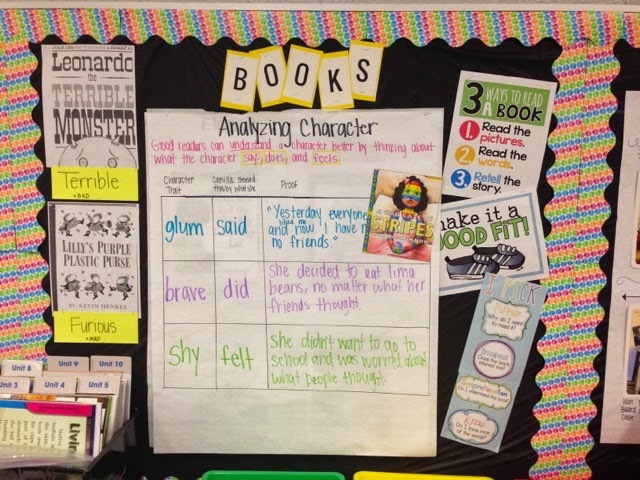 The students have a list of character traits in their reading interactive notebook and we used that to stop throughout the story and analayze Camilla’s character. I actually used this book as a two-fer with visualization. I didn’t show them the pictures as I read and I had them create their own pictures along the way. They couldn’t wait to compare their illustrations to the book. The awesome daily five posters to the right are from the awesome A Year of Many Firsts. My county specifically lists the 7 prefixes that third graders as responsible for knowing. I per taught each prefix and glued the definition on the anchor chart throughout the week as we learned. 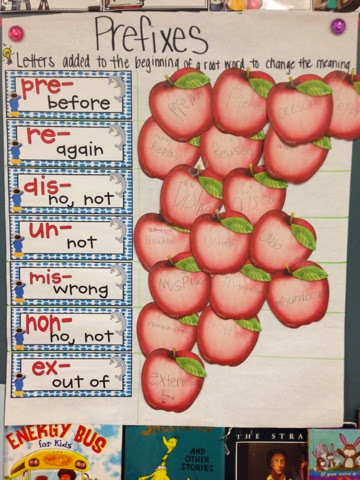 Once we covered all of the prefixes, I assigned each student a prefix, gave them an apple, and told them they had to think of a word to add to the chart. The super cute prefix signs are from Rachel Parlett and they come in so many cute themes! The rest of my charts don’t need as much explanation, enjoy!